Dedicated on April 25, 1996, the Robinson Observatory provides research and educational opportunities for students and the community alike. The facility, which houses a 20-inch telescope, offers students a training ground to collect solid data and conduct original research. 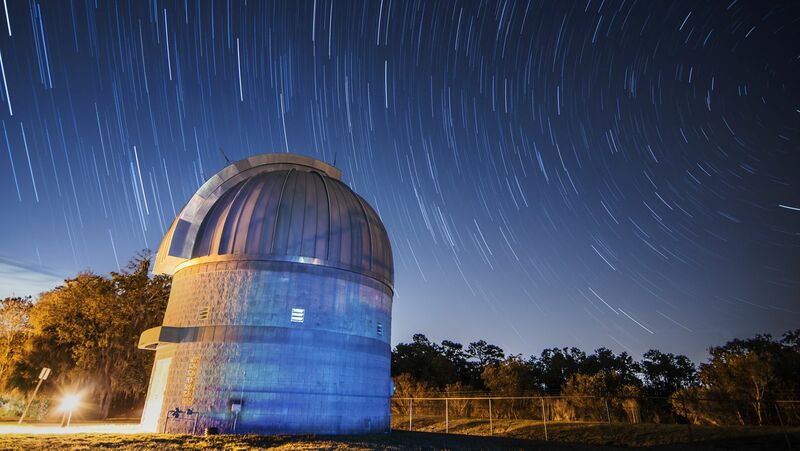 And the popular “Knights Under the Stars,” a series of free events held throughout the academic year, invites the community to learn more about the solar system from knowledgeable volunteers. People will literally gasp the first time they see an up-close view of Saturn’s rings or craters on the moon. It’s very satisfying for us to be able to bring the night sky to people in such a visceral way.